Just imagine – your own professional coach to empower your success? Objective, affordable, focused and personalized. Rendered by nationally known podiatric educators. Offered on a pay-as-you-go basis, by phone and/or secure e-mail transmission. The Podiatry Prep Discussion Forum™ is a candidate-to-coach telephone, SKYPE® transmission, and/or e-mail portal that connects independent test preparation coaches with doctors seeking board certification prep advice. The service is affordable, unbiased and offered on an as needed [prn], topical and pay-per-use basis. Test takers can now receive direct access to pre-screened and independent Podiatry Prep professional coaches in select areas of surgery, medicine, diabetes, wound care and the PMLexis tests, etc. To assist our candidates we can be contacted by client phone, email and/or secure instant messaging. The Discussion Forum™ is designed to fill the growing test preparation gap between those candidates who are having a difficult time passing these rigorous exams – and those using traditional but still existing study groups, general speakers, and/or non-specific educational seminars and dated study books. Now, with the Discussion Forum™ candidates can receive unbiased podiatric educational advice, and objective didactic education on their own terms, anytime-anywhere. The Discussion Forum™ eliminates conflicts of interest by being pan-geographic and providing educational testing advice on a per-use basis, so you pay only for what you want and need. The result is a unique “no pressure” and “no conflicts-of-interest” one-on-one independent personal coaching and tutoring experience. Just imagine – your own professional board certification exam tutor and independent preparation coach! Get started with a free matriculation and tutor coaching consultation, right now! Receive only the coaching advice you need and pay for – from a doctor and teacher looking after your best interests. Pre-Pay a Small Retainer of $1,000 [non-refundable]. Purchase study guide software .pdf files, etc. Pay any Remainder upon completion. A pre-paid non-refundable retainer fee of $1,000 is required initially. Purchase all required software guides and .pdf files, etc. We bill at the modest rate of $65 per quarter hour, or only $250 per hour – thereafter. Conclude your coaching session anytime; or when confident. Pay any final invoice upon completion. Total charges will always be known within a one-quarter hour increment. $1,000 non-refundable set-up fee for candidate interview, syllabus preparation, and curriculum development, etc [4 hour minimum]. TOTAL TUITION = $1,350; includes one study guide and files [x1]. Students remain in control, not consultants. Collegiality and privacy is maintained. *NOTE: We remain “held-harmless” relative to outcomes and this coaching service does not guarantee a “passing exam grade.” Not all applicants will be accepted. Coaches are independent practitioners and not affiliated with FARC, Inc. Subject to terms, conditions and technology requirements [Skype®, high-speed internet, phone, fax, e-mail, etc.] of FARC Inc, and the independent tutor. Other service restrictions may apply. Call for details or use the Contact Form, below. (C) All rights reserved FARC, Inc., USA. Board Exam or Test Type ? For years, doctors around the country taking an exam to become board certified in radiology have cheated by memorizing test questions, creating sophisticated banks of what are known as “recalls,” a CNN investigation has found. So doctors, don’t cheat – use PodiatryPrep board software and be “guaranteed” to pass. Last week, and above, we revealed what appears to be a well-known fact in the radiology community: Residents preparing for their board certification exams often get a leg up by studying past questions, which come from a repository contributed to by past test-takers. In response, the American Board of Radiology (ABR) is implementing a new testing procedure that relies less on the rote memorization of facts and more on testing concrete skills. This is exactly what we do with our “Podiatry Prep” study guides; deep experiential testing psychometrics. Congrats radiologists … finally! Nearly 85% of the ORAL test questions are presented as clinical scenarios that take place in hosital/ambulatory settings. The test emphases general knowledge; if you haven’t seen or heard about it during your residency training, chances are slim that it will be on the board exam. Don’t worry about recent studies in medical literature. ORAL examinations are created several years in advance of their use, so recent material will not be tested. Pace Yourself: Last minute cramming for the exam is not likely to help and may hurt your chances. Despite the difficulty in motivating yourself, most residents need to begin a study program at the beginning of their first or second year; starting at the beginning of the third year is cutting it pretty close, and halfway through the last year is too late. Most experts recommend reading about your own patients as the bases for your study plan. In general, the frequency that you encounter certain problems during the residency program will reflect the importance they receive on the examination. Assess Yourself: Our study guides can help you prepare by identifying your weak areas. And, one of the most popular tools and most accurate at predicting your performance on the ORAL board examination is our in-training QAs examination. Residents with scores falling below the 50th percentile on the in-training ORALS examinations will have the greatest probability of failing the board examination. Remediation: Usually in the form of changing reading habits, or a private tutor, can improve the likelihood of passing the oral board exam. In fact, and not surprisingly, there is a direct correlation on the amount of time spent reading and the ability to pass the board examination; about 5 to 7 hours per week appears to be the bottom line for success. Study Groups: Study groups are a good method to ensure compliance with your study program. Limit the number to three or four individuals, and meet consistently, at weekly or bi-weekly intervals. The groups can be organized by problems, or study guide chapter/modules, etc. A tried and true strategy is to have each member prepare questions based on their reading and use them to test the group’s knowledge. It’s not at all unusual to accurately guess the content areas and types of questions that will appear on the ORAL board exam. And, our CD products will help. The American Board of Podiatric Surgery (ABPS), as of July 1, the American Board of Foot and Ankle Surgery (ABFAS) conducted its last oral examinations as a component of the Part II certification process on June 27 to 29, 2014. The ABPS had held the oral examinations at the Chicago O’Hare Marriott annually since 1975. This year, over 300 candidates participated in the oral examinations. 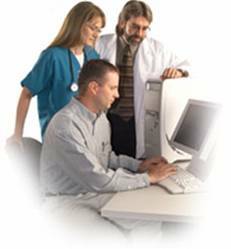 Beginning in 2015, the Part II certification examinations will consist of a rigorous Case Evaluation process combined with the Computer-based Patient Simulation (CBPS) examination. All residents completing training in 2014, and all future graduating residents, will have seven years to complete the process for board certification in Foot and/or Reconstructive Rearfoot/Ankle Surgery. This process places the ABFAS within the new guidelines established by the American Board of Medical Specialties for allopathic and osteopathic surgeons. Thought you would like to know that I did pass the re-certification exam with your course material. I did not realize how much material you had sent me. I would attempt to emphasize the importance of starting early to study since there is so much material in your course. Thank you so much for your help. Many thanks for this “live” tutoring service. Despite my background, I was amazed at how much I still didn’t know; tricks, etc. But, using the software, and after only 8 hours of phone coaching and private tutoring – I FINALLY PASSED.